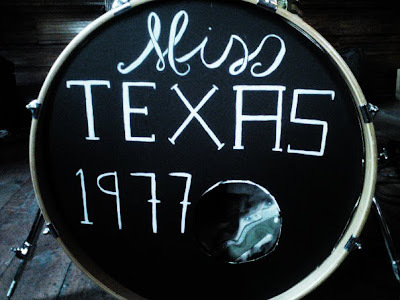 Miss Texas played at the waiting room last night and it was beautiful. I painted a little sign for their kick drum. Cause I'm nice like that. They have a new website. It's real cool. It has a picture of a flattened box on it. Find another band that does that.